Fassee Ullah is a Corporate and Tax Consultant in Lahore, Pakistan. 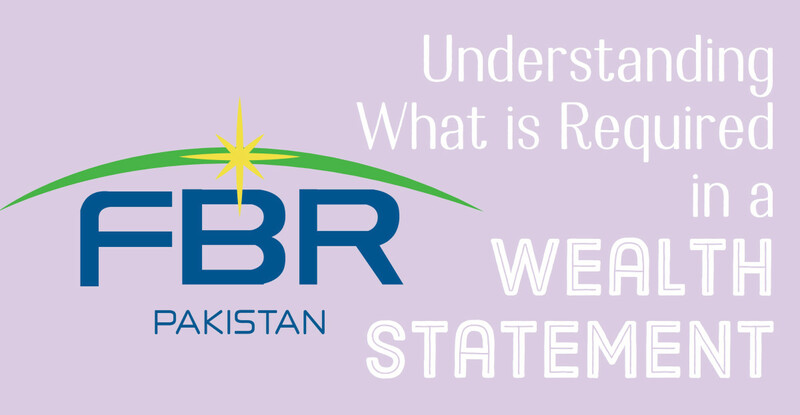 The Federal Board of Revenue has uploaded the income tax return and wealth statement for tax year 2018. There is almost no change in the income tax return for tax year 2018 as compared to the tax return for tax year 2017. However, a new form has been introduced—Form under section 116A of Income Tax Ordinance 2001—which is related to the income and assets of non-resident Pakistanis. 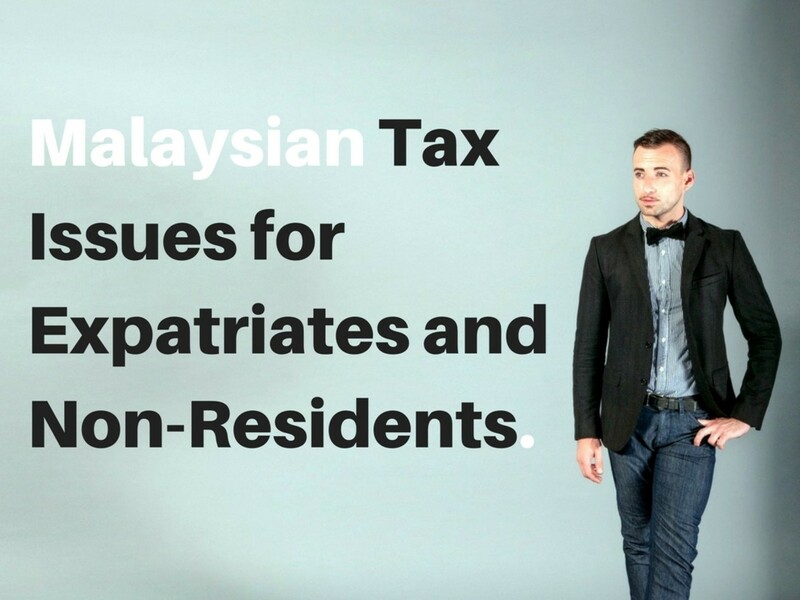 Earlier, non-resident persons were not required to file a wealth statement and it was sufficient for them to file income tax return. However, now non-resident Pakistanis have to file Form under section 116A otherwise their income tax return under section 114(1) cannot be submitted. Another very important change is that earlier, taxpayers, even if they filed the income tax return after the due date, become the filers/active taxpayers every Monday. However, now, a person can't become a "filer" after the due date even if they file a tax return. This means that the Active Taxpayers List, based on returns for tax year 2018, will be updated on 01.04.2019 and no further update will be made. At present, the last date for filing of tax return is 30th September 2018. If a person does not file the return by the due date, and files a return after that date (e.g. on 01.10.2018), that taxpayer will not be an active taxpayer / filer during the whole year 2019. If the income tax return for tax year 2018 is filed in time, however, the person will remain an active taxpayer during all of 2019. The Government of Pakistan through Finance Act 2018 has raised the limit for taxable income to Rs.1,200,000. People having an income of Rs.1,200,000 have to pay income tax of just Rs.2,000 per year. This amendment is applicable to the income earned during 1.7.2018 to 30.06.2019. However, when filing an income tax return for tax year 2018, we have to follow the tax rates for 2017-2018, where the taxable limit is just Rs.400,000 only. There is not much change in the tax return for tax year 2017 compared to the return for tax year 2016. We hope that the IRIS system of FBR now works smoothly and bona fide taxpayers do not face as many problems as they faced last year. 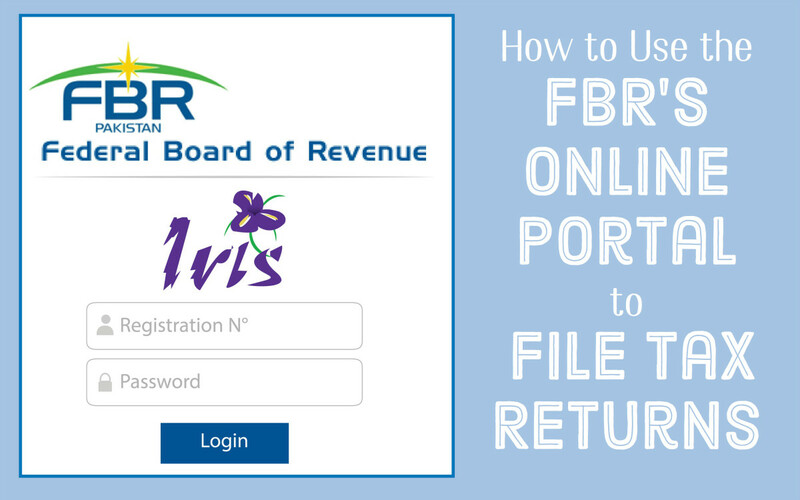 We pray that FBR this year removes the deficiencies in the return process and ensures the smooth running of its online system for filing returns. 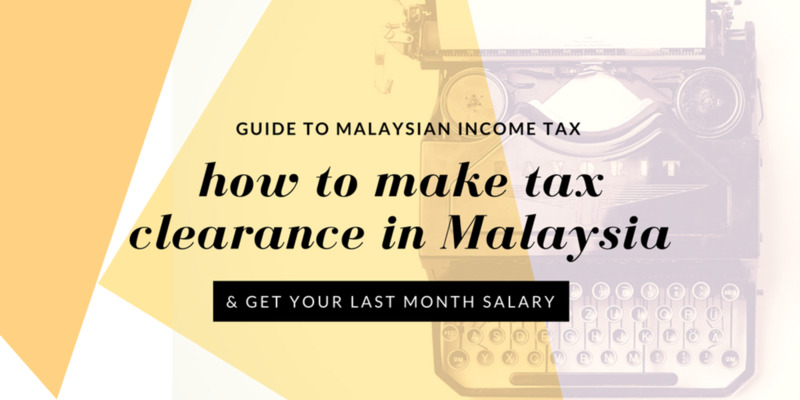 This article is an humble attempt to guide the taxpayers who intend to file their income tax returns on their own without help of any tax lawyer of practitioner. 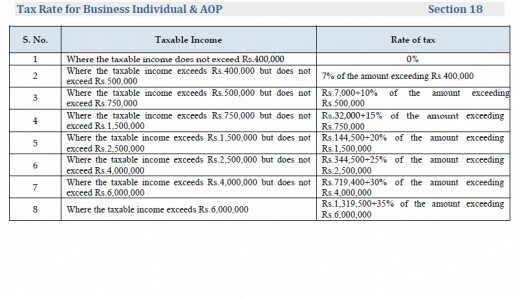 Earlier, salaried individuals were not required to submit their income tax return if their only source of income was salary and their income was below Rs.500,000. However, with effect from tax year 2013 every employee earning taxable income is required to submit his income tax return. I think the salaried individuals who do not submit their returns make a blunder. First, they expose themselves for penal action on account of non-submission of return and secondly in majority of cases of salaried persons the tax deducted is more than their actual tax liability. In case such person submit returns they can claim the excess deduction as refund. It is quite easy to pay income tax in Pakistan. If your income is more than Rs.33,500 per month, your employer is required to deduct taxes from your paycheck. Under section 149 of the Income Tax Ordinance of 201, your employer is also required to file a statement of all taxes they withhold. This has not always been the case. Every salaried employee with a taxable income of Rs.400,000 is required to electronically file (e-file) an income tax return using the FBR'Sonline system known as IRIS. In addition to an income tax return, every person who is required to file income tax return for tax year 2015 has also to file wealth statement. Wealth statement is mandatory for filing of income tax return. Without wealth statement you will not be able to submit your income tax return. Wealth statements contain details of a person's assets and liabilities. That is to say, you have to mention in detail your properties, plots, houses, and vehicles in your name as well as the detail of movable and immovable properties that are in the name of your dependents e.g. your wife and children. Taxpayers are also required to give details of personal expenses e.g. rent of house paid, Travelling, electricity, education and other personal household expenses. Personal expenses is the part and parcel of your wealth statement. If your income is more than Rs.400,000 and you have decided to submit the return, you first have to register with FBR. For registration with FBR you may visit the following address and state your particulars correct. You may also have to attach the following scanned documents. 4. 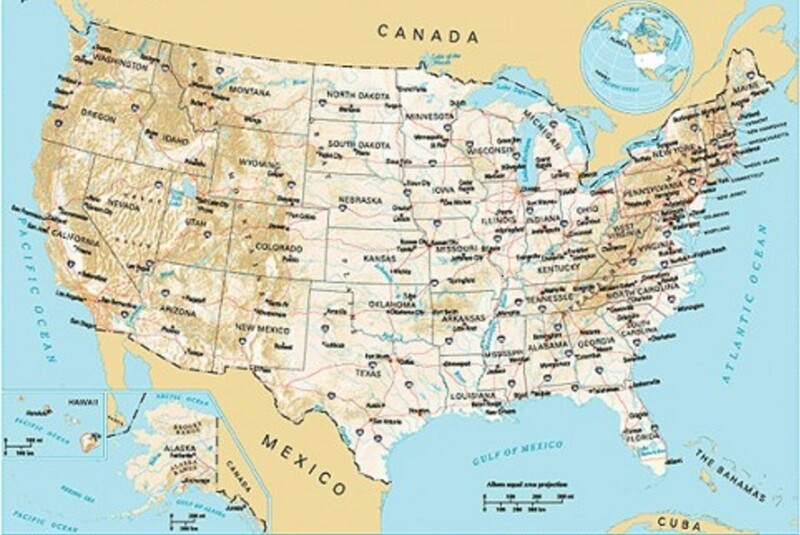 Document of your ownership of the residence or rent deed, as the case may be. 5. Fill in and signed/thumbed NTN application form. After attaching the documents please submit the application. After submission of NTN application you will be eligible to prepare and submit your income tax return for tax years 2014 and 2014. Before applying, you may check if you have already been allotted NTN by the FBR. For this you may visit following website of FBR to know whether you have already allotted NTN by the FBR or not. After mentioning your CNIC No. 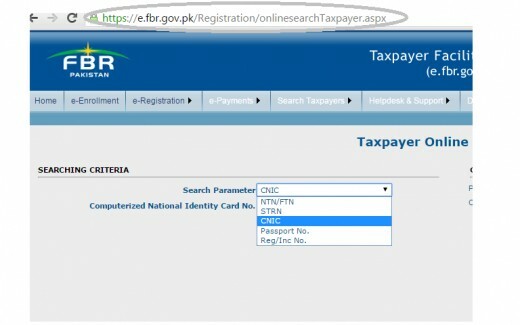 if the NTN appears against your name, you need not to register with FBR. Just skip the step of registration and went on to to "E-enrollment for registered person" link. 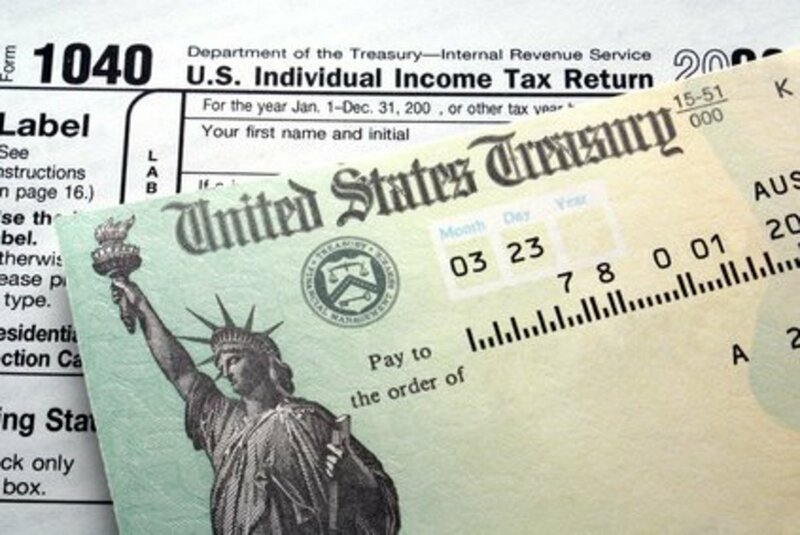 Did you file your tax return and wealth statement on time? No, I missed the deadline this year. After registering with the FBR, visit the portal's online registration page. 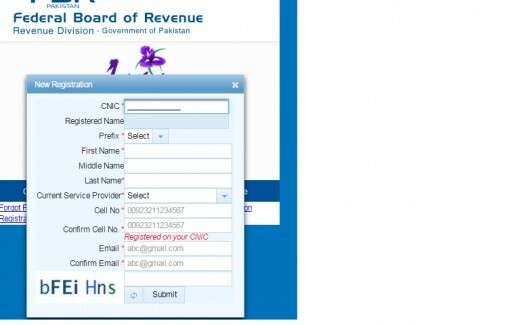 A new screen will appear where you will enter your CNIC number, email address, and the verification code that will appear on the left side of the screen. Click "Submit" and the system will ask you to enter codes sent to your mobile number and email address. Enter the codes in the right columns and press "Submit." You will receive your password and pin code in your email and on your mobile phone within less than five minutes. It is important to note that the SIM of the mobile number you enter must have been registered in your own name for at least the last month. If it is not the case, you will not receive the verification code on your mobile and will not be able to enroll. It is also advisable to use Internet Explorer 6 or Mozilla Firefox to file your returns. Google Chrome and other browsers are not fully compatible with the FBR's new system. How will you meet your tax and wealth return deadline in 2016? I will ask a family member or business partner to help. I plan to keep a great record-keeping system and save all documents. I plan to get started early. I need to hire someone to help me. Annual salary certificate from your employer indicating the gross salary and tax deducted. Contributions to provident/gratuity/pension funds indicating ending the balance and contributions made during the year. Certificate from banks regarding tax deductions on banking transactions as well as profits earned on bank deposits and tax deducted/deposited against these profits. In case of any local or foreign trip, copy of air ticket including the amount of tax deducted. In case any electricity bill exceeding Rs.100, 000, copy of the same may also be required to take credit of advance income tax deducted. Bank statement/(s) for the period 01.07.2014 to 30.06.2015. In case any investment is made in the shares of the company or mutual fund, detail of the same along with details of profits on sale of shares earned during the year. Any cash or capital dividend received and tax deducted. Certificates from mobile phone companies regarding deduction of tax. This applies to all the cell phones under the taxpayer's use. Details of any function/gathering arranged, such as a marriage, including invoices, so that credit of tax deducted may be claimed. If you bought of sold a vehicle during the year, provide a copy of the registration book and amount paid or received. Documents relating to any immovable or movable property acquired or sold during the year. Details about motor vehicles in your name, including make, engine capacity, year of acquisition, cost, and registration number. Details of token tax paid for tax year 2015. In case of the assets acquired on a lease, provide the information and installments paid during the period 01.07.2014 to 30.06.2015. Details of any foreign remittances received during the year. Complete details of household expense including gross amount of electricity, gas, telephone, and water bills. Expenses related to education of children. Fees to join a club including details. If anyone contributes toward personal household expenses, provide their name, NTN, and amount contributed. While preparing a wealth statement, provide details about assets owned by your spouse and/or dependents. Total installments paid during the year. Remaining Loan/(s) amount as on 30.06.2015. Income from property (gross rent, tax deduction on rent [if any], property tax paid, insurance premium paid). Details of profits earned on bank deposits/saving certificates etc. including bank account number, nature of deposits/saving certificates, gross profit earned during the year, tax deductions made by banks or National Savings. Taxpayers are required to file wealth statement and to reconcile their wealth with the declared in the previous year's wealth statement. Usually, government employees are also required to file Declaration of Assets and liabilities with their respective departments. So, you can pick the figure from declaration of assets. However, reconciling the wealth is little bit tricky. In the Wealth statement you are required to mention the complete address of your house, plot or properties etc. your bank balance as on 30.06.2015. While mentioning the value of assets please mention the cost of the asset that is borne by you to acquire the same. For example, you purchased a plot for Rs.100,000 including incidental charges of registry and payment of commission etc. and present value of the said plot is Rs.500,000. You have to mention the value of plot at Rs.100,000 and not Rs.500,000. Similarly, you purchased a vehicle for a consideration of Rs.500,000 four years back and now its market value is around Rs.300,0000. You have to mention the value of the same at Rs.500,0000 and not Rs.300,000. Regarding loans you have to mention the position of loans as on 30.06.2014 or 30.6.2015 (for tax years 2014 and 2015 respectively). Suppose you have obtained house building loan of Rs.100,000 three years back and after payment of instalments the current position of loan is Rs.65000. You have to mention your liability at Rs.65000 and not Rs.100,000. Note that A and C should be equal in all circumstances. 2018 Federal Income Tax Changes: What Helps? What Hurts? Dear all,please need help regarding remaining of tax returns.i m salarized person and my employer sending me my tax returns regularly but I failed to submit returns for the year of 2015,16 and 17.can I submit my returns now. You have to file tax return for 2017 to become filer immediately otherwise you will become filer on 1.3.2019 on the basis of filing of tax return for 2017. If I got registered in 2016 but didn't file return for 2016 and 2017 and now I file return in 2018 so will I be included in Active tax payer list? if you face "Admitted Income Tax against Code 9203 must be paid before submission this problem you have to go "adjustable Tax" this tab is in tax chargeable/payments then there are different salaried categories like salary of federal Government, salary provincial government etc you should select which one of you if you are banker then select corporate employee the enter net detected tax and press calculate button twice, threes finally you go to computation tab and press calculate button now it is clear you may verify and submit. in which field of wealth statement in can enter the "cash in bank". Please guide me. I am paying for instalment of plots with my salary. Should i input instalment plots ( which i do not have an ownership yet) in iris? IF yes where should i enter this data? 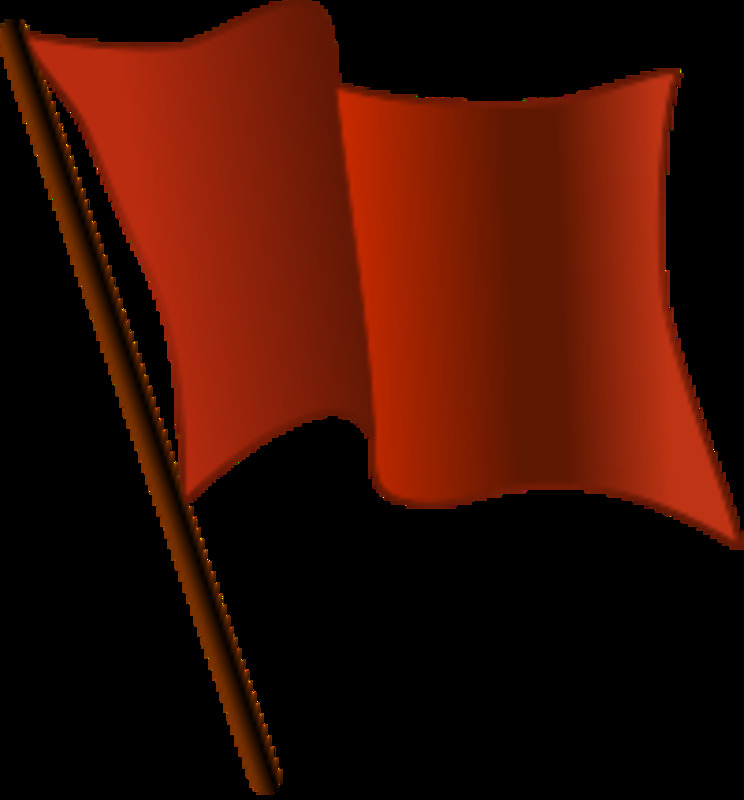 In such case, you should not have to receive notice u/s 214D. Please guide about the reply to be given in response to notice "Audit Under Section 214D Read With 177 Of The Income Tax Ordinance, 2001" served for tax year 2015 on a salaried individual, although the return was filed within due date and only the revision was filed more recently. You will find the tab "attachment" along with verification and Data tab. There you can attach a work doc. where you should mention the details. I submitted 2018 return and wealth statement before the due date but I made a mistake in them and I want to revise. I revised the wealth statement without any issues, but when I try to revise the return, it gives an error to "attach the reason for revision". Where should I attach it? I also tried going to the application for revision of return but when I select the period, it gives an error "transaction not allowed as workflow rule has failed". Please help. How do I get rid of these errors? How do I revise the return? if i have got around 4000 PKR interest in saving account do i need to put that in return and is that tax free where in form? also where gift money goes in return form or its just need to mention in WS? Dear you have to file your tax returns for these years in compliance with statutory notices, though it may be nil or below taxable limit. Whilst thought to file returns this year, I found 3 penalty notices in my inbox under 182(2) to file returns for year 2015, 2016, 2017. I am govt. employee but never filed returns until now but had NTN in 2009. Do I still need to file return for 2015, 2016 or should just reply as not applicable? 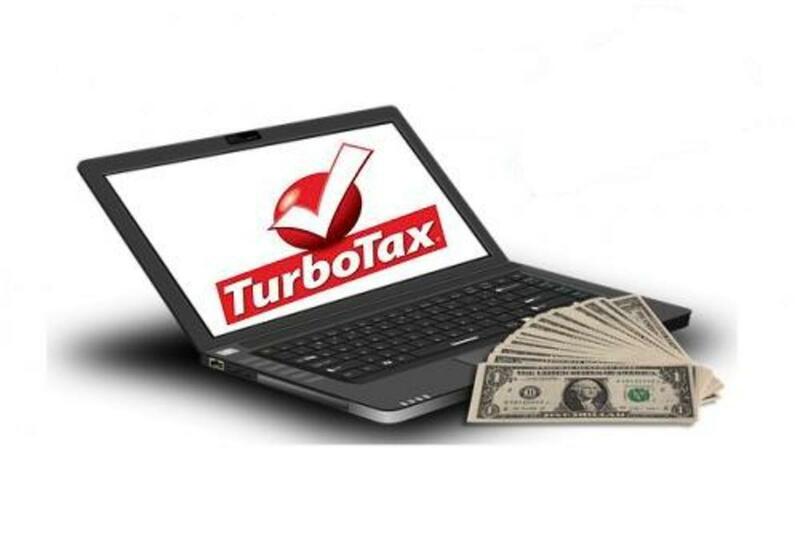 1.will I use the same form for e filing which I used previously as salaried employee? 2. where precisely I should enter this amount on my income tax return? 3.Should I only enter as foreign remittance/income or is it required to be entered at some other place also. JazakAllah khaira for the support. I have given an amount of one Lac to a shopkeeper as a silent investor. He gives me profit what he earns monthly. Please I want to the following (1). Where should I write the main amount of One Lac in Form 116(2).? (2). Where should I write the profit in Form 116(2).? (3). Where Should I write the Main Amount of One Lac in Form 114(1)? (4). If Annual Profit on One Lac is less than Taxable , then which columns in form 114 should I fill in. and with what tax ? i am a full time teacher and when i add the amount of paper setting remuneration under section 153 of payment at 10 %. an error statement MSG.IRIS-12-023 generated. i don't understand how can i solve the problem. Bank profit and Dividend received will enter in income heads or only in fixed/final tax. Profit on debt 7b amount where will be mention in five heads of income. I entere it in other source but the tax deducted double. I have never submitted return, now i am thinking to submit return this year. Let me know that i will have to submit only this fiscal year 17.18 or previous past years as well ? I have same issue when I press Submit "Admitted Income Tax against Code 9203 must be paid before submission"
Those who are getting admitted income tax error need to add corporate or govt worker tax under adjustable tax tab. Where exactly do I put in the amount of motor vehicle tax in the e-from? I am a salaried person. The office deducts tax at source. But I also paid x amount against motor vehicle token tax? When I press the Submit button it says "Admitted Income Tax against Code 9203 must be paid before submission.". I have pressed Calculate many times but still issue remains. I submit the return it still says "Admitted Income Tax against Code 9203 must be paid before submission." I have paid the exact amount as shown against code 9203. Why is this error coming? please help. Just press the calculate button and then try again to submit the return. Kindly advise how am i mentioned the amount of my house in the wealth statement, if i mentioned the amount , the total net asset will increase , so am i reconcile the wealth statement from income and expense? Just click on "Calculate" button and then try to submit your tax return. I hope it will be submitted. I have paid my tax amount and added the CPR number in the payment section of my return. But when I submit the return it still says "Admitted Income Tax against Code 9203 must be paid before submission." You may mention it as your business income and declare the purchase and sale therein. I am a salaried person, I booked a car from Honda and sold it on profit from the showroom without registering the vehicle. Where should I mention this profit in my tax return? Would be thankful for your help. I forgot to enter the amount of bank certificates in wealth statement in 2016. I also forget in 2017. Now, In 2018, I am entering this amount due to which my assets are drastically increased. Please suggest what should I do? How can I revise wealth statement of 2016 and 2017? Please give advice. Your tax deduction made by your employer is on the lower side. You have to prepare the challan and pay the tax. Increase in market price is not to be reflected in wealth where the assets are shown at cost. You can submit it now. I am a salaried person. I have prepared my wealth statement and income tax return voluntary (114(1). When I tried to submit it it pop ups a message (admitted income tax must be paid before submission). My income tax has deducted by my employer from my salary and I have tax deduction certificate from employer. Any suggestion now what to do. Should increase in Market price of assets be reflected? can i submit it now ? i have salary certificate of last year with no tax. Dear you have to file your tax return for 2017 to become a filer. You may file a nil return but it is necessary to become a filer to file tax return for 2017. I have registered on 17 sep and submitted my returns online on 18 sep successfully , but my status is still inactive in ATL , As it was my first year of tax salary, so i i submitted for 2018 only. When it will be shown as active in ATL ? As per my understanding, you should exclude the car from your assets as it is sold and you have received the sale consideration and consideration so received will be the part of your cash/bank, as the case may be. Can you please help me with a situation. I purchased a car in Aug 2017 and had it transferred to my name. For some reason I had to sell it in Jan 2018. I had some issues with the purchaser who blamed that I sold a damaged car to him. He did not transfer the ownership rather sold the car further. The car is still shown registered in my name in Excise record. I have the sale deed available for that cash transaction. Do I still need to mention it in tax return with 0 value or do not need to show it at all. Would be thankful for the help. Hi: i want to claim refund against my internet bills but i can't locate the tab where i can fill in the requisite information for tax adjustment. Accordingly would request your immediate assistance in the matter. I don't see "Wealth Declaration" form on "IRIS". How can I submit my wealth statement? Also please tell me what does "Admitted Income Tax" means? i have a purchased a flat on mortgage. should i show it in my wealth? what if loan amount is higher than the value of flat? 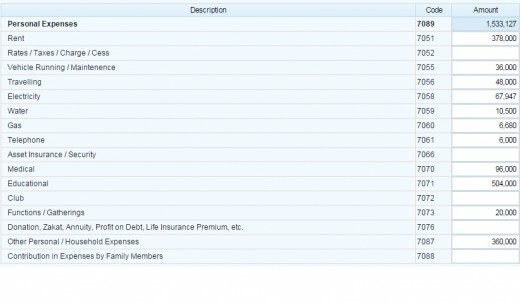 do i need to showthe amount paid against 236W in income tax? Private Vehicle Tax u/s 234 code 64130003 is not available under adjustable Tax 114(1) (Return of Income filed voluntarily by non-resident Pakistan-origin person having no Pakistan-source income). Is that a mistake or the withholding Tax Paid during Token Tax Payment by Non Resident Pakistani for his vehicles is no further adjustable? Thank you In advance. Does freelance transcription work fall in the "Fee for Technical / Professional Services" head or the "Others" category under the "Other revenues" head in the business section? Plus what "attribute" goes with it? No need to revise the return and it is not mandatory to attach the salary certificate or bank statement. I forgot to attach salary certificate and bank statement with my income tax return filed last year. Is there any need to revise the return and attach the documents? which amount will show in wealth home deed which is stamp or market rate ? will be available soon for the tax year 2018.
i have filled it and submit 116A and next when i try to submit 114A form after completing then its error appear . kindly let me know how can i clear this. error massage: Net Assets Previous Year against Code 703002 must be entered before submission. Hi, i have a plot in an housing scheme, 1 years back my father paid half of the payment, rest of the payment paid by me in installments this year. Dear Sir, Assalam O Alaikum, kindly advise to how to indicate a gifted plot in Income Tax return. My father has been paying installments of a plot in a Housing society of His office since last 28 Years. Still one Lac rupees are outstanding. Kindly advise me to how to include gift transfer of that plot in my income tax return. Where I also wanted to show the balance amount. In how many days a person can revise his return of income after submission? How to file annual withholding statement ? If a non resident has a property booking in pakistan and he sends his remittance to his resident brother's account to pay his (non resident's) property installments in pakistan. Resident brother makes payment for property installments for his non resident brother. How resident brother will show these installments payment in his WS? Secondly how non resident brother will show in his WS these payments made by his resident brother on his behalf from the money non resident remitted earlier to his account. can you please confirm which section to submit the withholding tax, and the remaining tax in? 114(2) of the adjustable tax section? Sir i have registered my Firm as individual in July 2017..but my firm is inactive on income tax payer list..how can make it active for income tax..? Please help me in this regard...Thank you in advance sir. Sir can you guide how to file shares related info alongwith capital gain tax? In case I have not sold it in a financial year, Should i tell how much i bought a share for OR what was that share price as of 30th June 2017? No this is not a problem. You should mention the correct amount in your tax return. Actually the gross salary mentioned on the salary certificate from my employer is less than the actual gross salary. He did not include the leaves encashment, hence the amount on the certificate does not match the amount that I will file as my income (which includes leave encashment). Would that be a problem? You should include leave encashment to calculate your gross salary income. Should the annual salary certificate from the employer indicate the gross salary with the leaves encashment amount included? My certificate mentions the gross salary excluding the leaves encashment. I have following queries, I shall highly appreciate if you could kindly provide your expert opinion on these? 1. where to mention any property/car purchased and sold during the same tax-year and hence the corresponding amounts of spending while purchasing and gain when sold. 2. where to reflect and claim WHT on profit of saving accounts. Please specify the reference column. 3. How to reflect any property in the current tax-year which was purchased but not declared previously but sold during current tax year. 4. How to reflect cash balance of last tax year which was incorrectly reported in the "other" category of "outflows" of 'Reconciliation of Net Assets' sheet. 5. Do we need to report House purchase loan as liability if its mark up is paid by the employer. 6. Do we need to declare the cumulative accrued amount of Provident Fund under 'Personal Assets'. Yes I am based in Lahore. My address is Office No.10, First Floor, Alabad Plaza, Near Tamaseel Hall, Ferozpur Road, Mozang Chungi Lahore. ARE U BASED IN LAHORE ?? Where should I disclose national prize bond on statement of assets ? As you have earlier mentioned that Provident Fund should not be declared. But the employee contribution in Provident Fund is directly deducted from our gross salary. So can we mention PF in wealth statement? if yes, then in which section or code in iris?? I m residing in KSA since 2008 and have my active NTN Number. I m preparing my Income Tax File return and wealth statement online (IRIS). 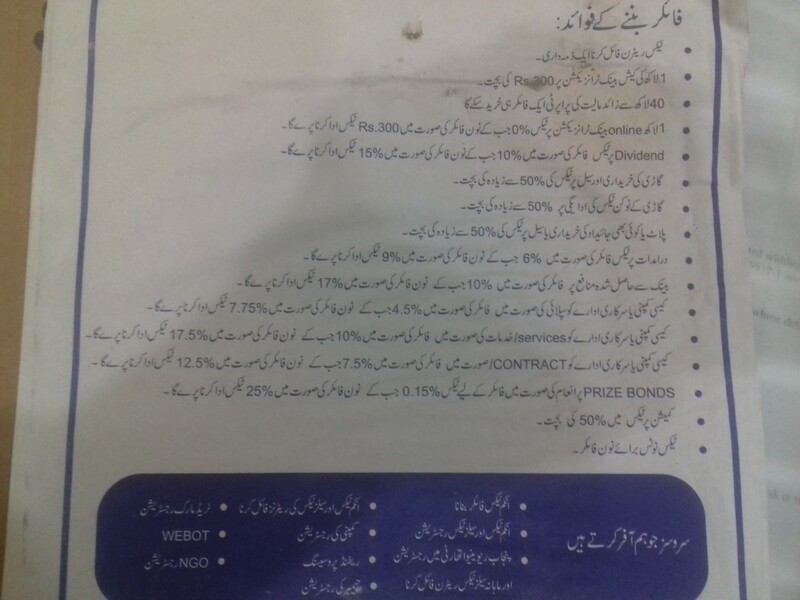 Could you please help out how to present all assets made from 2008 until now in Pakistan by foreign remittance? How to claim the refund of with holding tax deducted on mobile bills , internet etc. i am a regular tax filer but don't know the process of refund so appreciate your urgent assistance. please answer my appended query. You may show your share in the wealth statement, if you have the evidence of payment and after confirming that your other partner did in his wealth statement. Regarding declaration of provident, it has not to be declared because it is not in your possession as yet. I bought the plot in partnership and plot is registered in other partner name. Where should i disclose it in wealth statement? I filed tax return by incorrectly stating some amount in exempt income which is subject to tax. The mistake was not intentional and happened by accident. 114 and 116 have already been filed. Please guide that should I deposit the remaining(due) income tax amount in FBR income tax account although return has already been filed ? Which balance of provident fund is declare in wealth statement Accumulated PF balance or addition for the year?